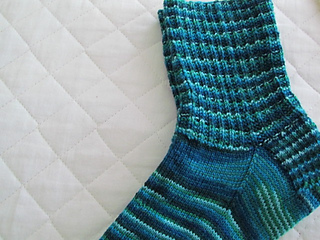 Half Rib Socks Pattern is a swanky ribbed pattern. 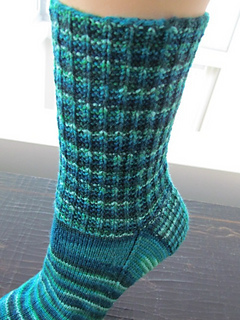 This pattern looks great in hand-painted, tonal or solid sock weight yarn. Pattern shown are knit 2 ways: pattern can be knit for the entire sock from cuff to foot (tonal version) OR knit or pattern on just the leg (hand-paint version).